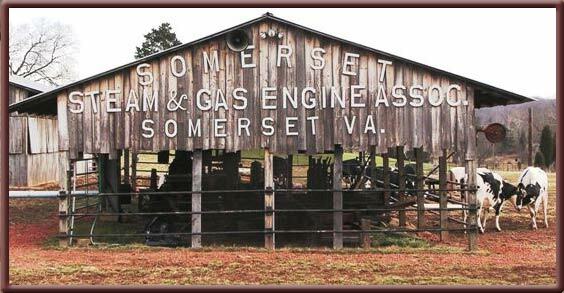 Welcome To Somerset Steam And Gas, Where Steam and Gas History Is Explored!! Visit our Facebook page for pictures and event updates. The next club member's meeting is scheduled for February 4, 2019 at 7:00PM at the Fairfield View Dairy Farm shop. 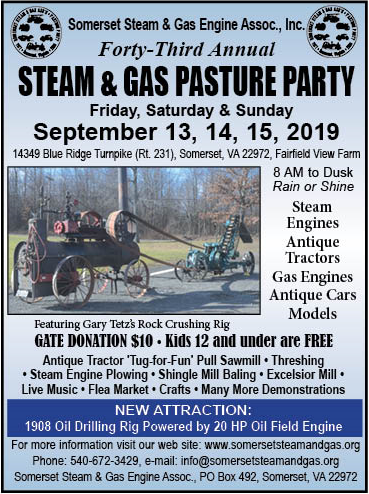 The Somerset Steam and Gas Engine Association mourns the loss of 2 longtime members. Mr. Pete Seay and Mr. William Melton will be missed by everyone.